Hi there! It's Trina here today with your weekly challenge. 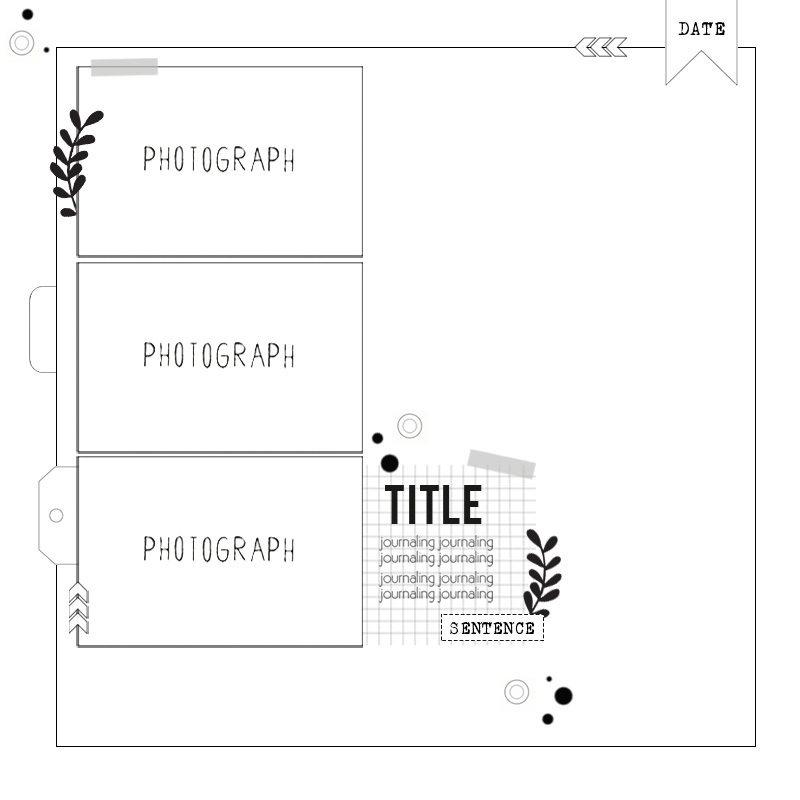 Are you ready for your Sunday scrapbooking sketch? This week we have a 12" x 12" sketch for you that I've converted to an 8.5" x 11" layout. I've done a loose representation of this sketch with my focus on the 3 stacked photos and the small gathering of title + embellishments. I worked with both the June 2017 Boardwalk Pocket Life kit and Scrapbooking kit. Now it's your turn! To play along with this week's challenge, create a layout inspired by the sketch, upload it to the Citrus Twist Kits Gallery with the sketch date (6/18) in the title, and you may just win a $5 gift certificate to the CTK shop. I can't wait to see your take on this sketch.